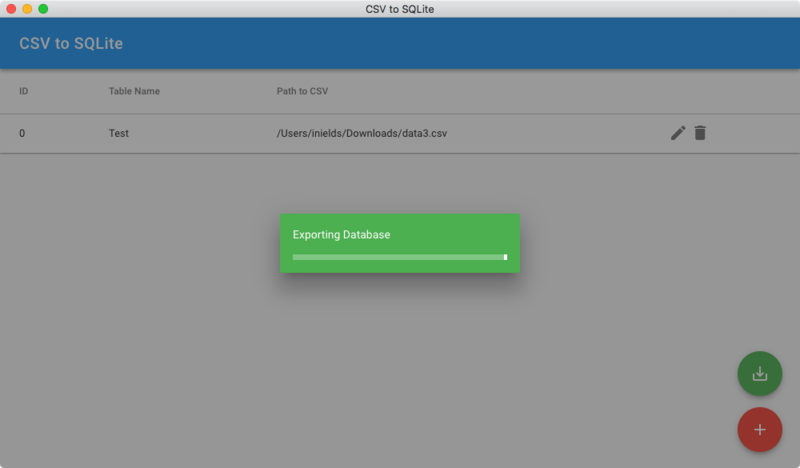 Convert CSV files to SQLite databases. A desktop app to convert CSV files to SQLite databases! CSV to SQLite is an electron application designed to convert comma-separated values files to SQLite databases with column type affinities. This desktop app allows a user to convert much more quickly when compared to command-line CSV to SQLite conversion methods. Instead of creating a custom conversion script for each SQLite database, a user is able to quickly adjust the parameters for how the CSV files should be converted. 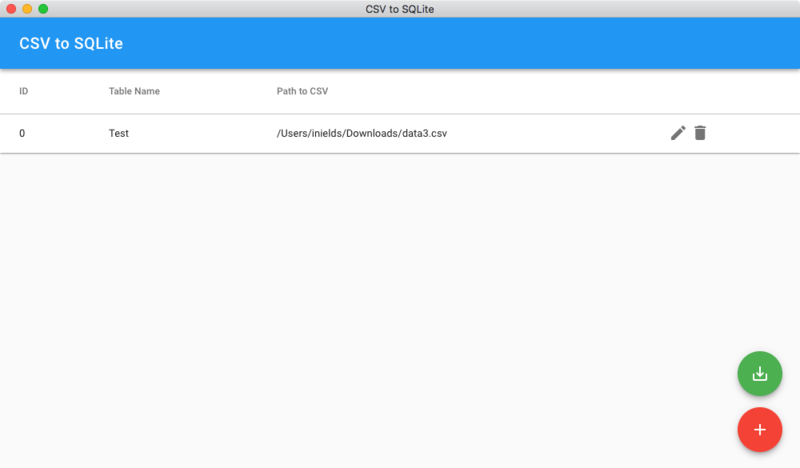 CSV to SQLite is compatible with Windows, Mac OS, and Linux.